Inverted Mode for displaying cells upside-down (using CATransform) -- a necessary hack for some messaging apps. YES by default, so beware, your entire cells might be flipped! Check out the sample project, everything is demo'd there. There are 2 main examples (different targets) for testing the programatic and storyboard approaches. Most of the features are implemented for you to quickly start using them. 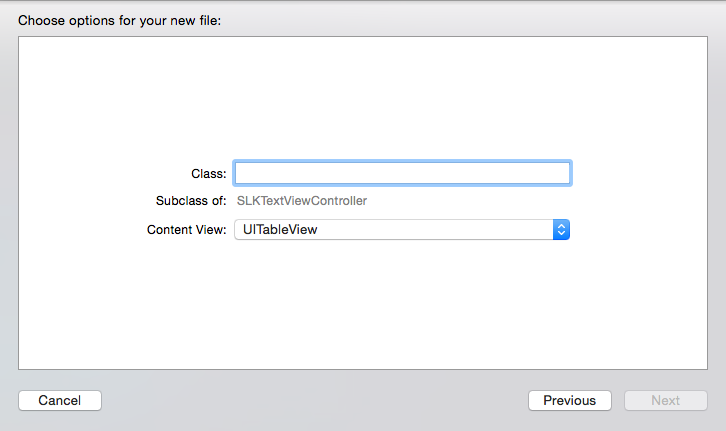 A CollectionView example, using Swift, is in progress on the swift-example branch. The idea with this project is to build a custom collection view layout allowing to display cells from the bottom (currently working but needs serious tweaks to make it perfect). Feel free to contribute! Once the prefix has been detected, -didChangeAutoCompletionPrefix:andWord: will be called. This is the perfect place to populate your data source and show/hide the autocompletion view. So you must override it in your subclass, to be able to perform additional tasks. Default returns NO. You don't need to call -reloadData yourself, since it will be invoked automatically right after calling the -showAutoCompletionView method. If the user selects any autocompletion view cell on -tableView:didSelectRowAtIndexPath:, you must call -acceptAutoCompletionWithString: to commit autocompletion. That method expects a string matching the selected item, that you would like to be inserted in the text view. 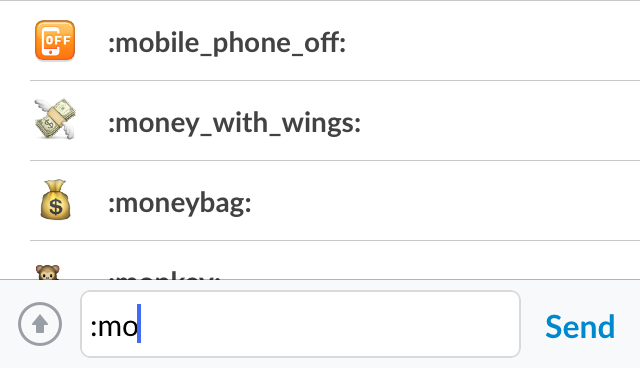 You can always call -cancelAutoCompletion to exit the autocompletion mode and refresh the UI. To enable edit mode, you simply need to call [self editText:@"hello"];, and the text input will switch to edit mode, removing both left and right buttons, extending the input bar a bit higher with "Accept" and "Cancel" buttons. Both of this buttons are accessible in the SLKTextInputbar instance for customisation. To enable the typing indicator, just call [self.typingIndicatorView insertUsername:@"John"]; and the view will automatically be animated on top of the text input. After a default interval of 6 seconds, if the same name hasn't been assigned once more, the view will be dismissed with animation. You can optionally override -willRequestUndo, to implement your UI to ask the users if he would like to clean the text view's text. If there is not text entered, the method will not be called. To add additional key commands, simply override -keyCommands and append super's array.